This holiday season, living in The Belden-Stratford Apartments in Chicago provides the perfect backdrop for hosting elegant holiday celebrations. 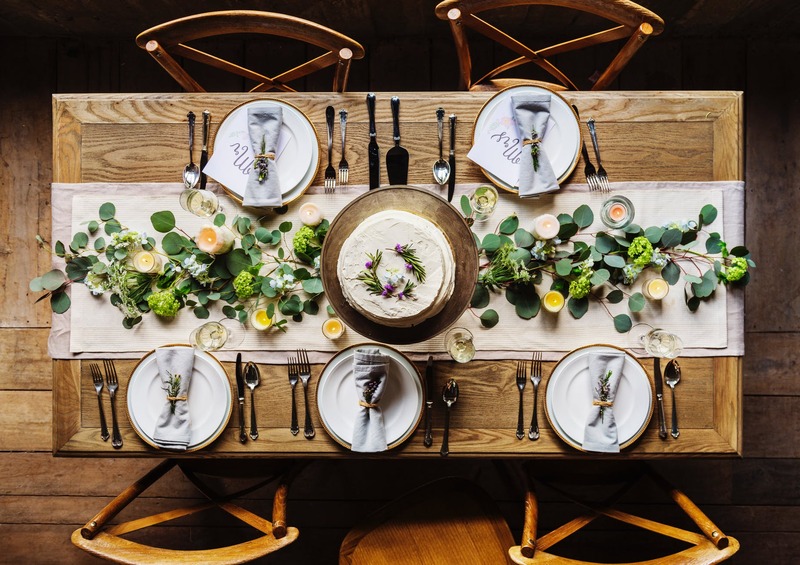 Even if you do a minimum of home decor, you can add a dramatic effect to your entertaining this year by featuring an elegant tablescape that will put all guests in a festive state of mind. When considering your tabletop arrangements, view each setting and centerpiece as part of a design plan to create a breathtaking look that harmonizes your dining or serving area with a sense of balance. A tablescape is just that! It is less about matching plates, silver, linen, and glassware and is more about creating a sense of balance using textures, color, and scale. While you may want to take your color inspirations from traditional holiday palettes such as red, green, gold, and silver, you can increase the visual effect with color alternatives such as deep pink, purple, and red or adding a pop of mustard yellow with your blue and silver. Nature can offer its own inspiration for color combos — brown, green, and white or red, yellow, and black for a dramatic effect. So maybe this is a good year to change up your silverware settings with a set of bronze patina flatware or a lovely tinted set of stemmed goblets in a soft azure or nuanced plum. A key part of the balancing is to add subtle differences in textures and finishes — mixing and matching to make your table come to life in a unique and festive way. For finishes, you may opt for a linen tablecloth or choose to leave your lovely wooden table uncovered. The options can go from a relaxed look of a cream-colored cotton/linen with a burlap table runner to a vibrant red Poinsettia imprinted tablecloth to add spectacular contrast. Bring your tablescape together using elements from nature. Ditch the idea of pinecones and holly for blooming tropical plants, a floating orchid centerpiece, branches of fern and scattered peppercorns, or sprigs of wintergreen with pomegranate seeds. Call our offices today to schedule a viewing of our The Belden-Stratford Apartments in Chicago, IL and to discuss which floor plans are available. Start your own holiday traditions in a luxury apartment setting with fully equipped kitchens with stainless steel appliances, hardwood flooring in select units, and panoramic views of Lake Michigan, downtown green spaces, and the city skyline.